Have You Heard About One Can A Week? One can at a time has been my motto for over six years. Have you heard about one can a week? Sometimes people get overwhelmed when they start a food storage plan. Let’s make this really easy, one can a week. It can be a #10 can of dehydrated or freeze-dried meat, vegetables, fruit, wheat, rice, etc. I will explain the difference between dehydrated and freeze-dried below. 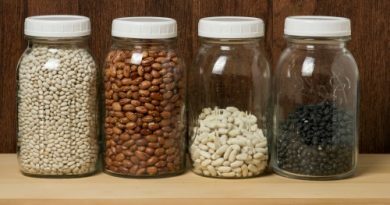 You can also buy one can of beans or chili each week when you go to the grocery store. It’s one extra can you didn’t have yesterday. Rotate what you buy and eat what you store. I hope people realize that if we have a major disaster our local grocery stores may be empty within 24 hours. You may not be able to even drive to any stores if we have a pandemic. Our local government officials may ask us to stay off the roads because of ice or the roads are washed away. It could be one of many reasons we must have food stored in our homes. Water is first and foremost, but today we are talking about food. In case you don’t know, the water needed per person per day, according to The American Red Cross, states one-gallon. I prefer 4-gallons per person per day. But that’s how I roll. We need water for hydration, hygiene, cooking, cleaning, and spit baths. Yes, I have baby wipes, if they dry out, add some water, they will still work. I may have told you this story before about a woman I know who buys several cases of food she will eat for a year if a disaster hits her neighborhood. She is a single elderly woman who knows the need to be prepared. She prefers fresh food but realizes that may not be available. Before the end of the year, and before the food expires, she donates all of it to the food bank. If that doesn’t give you chills I don’t know what would. She is amazing, I LOVE her preparedness and giving attitude. 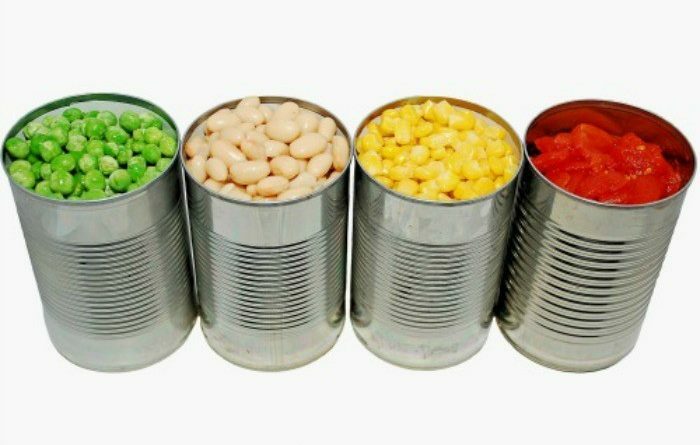 These cans can be dehydrated, freeze-dried or cans of food down any grocery aisle that has food you and your family will eat. Of course, we still need the basics to bake bread, tortillas, biscuits, crackers, etc. Today it’s all about one can at a time. All you need to do is write down what you eat each day, my printable worksheet may help you. Where Do I Start by Linda You can fill in the areas for breakfast ideas, lunch ideas, and dinner ideas. It has a place on the side to put down the food items you want to purchase. I had a reader mention on Facebook that only the rich and wealthy can afford freeze-dried or dehydrated food. I am not wealthy by any means. I buy a case of six cans once every quarter. I have been doing this for years. You may know people have pallets delivered to their homes. A lot of people can’t afford to do that, and I prefer choosing a little at a time. I put everything in alphabetical order so I can see at a glance what I have on hand. Then I can see the areas where I need to add one can or more to the shelf. Thanks again for being prepared for the unexpected. May God bless this world, we do not know what is ahead. Please be ready for it. Throw in an extra case of water in your grocery basket. You’ll be glad you don’t have to stand in line to get water if your water is contaminated in your neighborhood. This is such a great idea. It is also a great idea that I could donate the unused items as the next year cycles through. I think I will print off the list and add in my months of canning, eliminating the food purchase at the grocery that week. That money would go to the fresh produce that I buy for my bottles. I’ve been using my year old self canned goods/ expiring goods for meals for the homeless now that the weather is so cold. Thank you for a great “jump off” list. Another spin off of this technique would be to buy 2 cans and use 1 older can. That way every week you know how to use the products and can decide whether your family likes it, and if not to try another brand. That’s how I found out that I mistakenly bought Beef TVP instead of real beef! Also, one brand just might be better or freeze dried is better than dehydrated or vice versa. We open up a #10 can every week and if we don’t use it all, the next week we open up something that goes with it so that it’s gone pretty fast. This week we opened up a #10 tin of Marinara Sauce (freeze dried). So we’re going to see if it also makes a good pizza sauce, whether the family likes it or not, see if it might go with other things and would it make a manageable tomato soup or could it be used to stretch tomatoes in chili. That way if there is a problem and we must use our food storage in earnest, we know what we can make and how to combine things with it. It’s been fun and sometimes challenging, but we always learn something when we open a can of something we haven’t used before. Then we keep notes and recipes so we don’t forget what worked well for us. The idea of buying the #10 cans and using them as parts of meals is a GREAT idea! And as Debbie O above mentions, you can use parts of, say, the tomato marinara sauce to create other foods like the pizza mentioned, spaghetti, soups, etc. But sometimes the large can is just too much for the single person, like myself, to go through in a timely fashion, regardless if I make other meals out of the contents. Sometimes I just DON’T want to cook. KNOW what I mean? 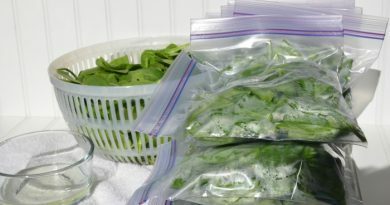 So for me, having and using a Vacuum Sealer comes in super handy. I can divvy up the larger can into smaller portions and not worry about potential spoilage or waste. Also, if the need arises and a neighbor needs to “borrow a cup of sugar,” SHAZAM! Pre-measured and ready to hand out. I buy as much (most, actually) of my FD or Dehydrated foods in the #10 cans myself, but as much as I LOVE Beef Stroganoff, would I REALLY want to eat it night after night, meal after meal, until the can is empty. Hmm. Probably not. Well, maybe?!? Anyway, just a suggestion that I’m sure others have considered themselves. Oh, and DON’T toss the cans. You can be a Hero by making those small Rocket Stoves to hand out to those less fortunate in a time of grid down or as an economical means to cook when the propane for the backyard BBQ is exhausted. Just a few twigs for fuel, a match or lighter to start the fire and KOWAGUNGA, cooking PDQ. Anyhoodle, just a couple of suggestions and I Pray everyone is in good Health! PS, Linda, I truly enjoy reading your articles. I’m a pretty old critter and have been prepping in some form or fashion since the late 60’s (Yeah, I’m OLD! Hahaha!) but I never seem to come away from reading your articles and the comments therein without having learned SOMEthing new. Or a better way to build a new mousetrap. So you CAN teach an old dog new tricks, so to my fellow Silver Haired Peppers, DON’T GIVE UP OR QUIT! You CAN do it too!! Our rule for many years has been “one cat, one dog, one protein”. If either of us is at the market, in addition to that trips purchase, we add one item for each of the animals and one can of something protein for us. This usually translates to a can of cat food, a can of dog food and a can of tuna/chili/chicken etc. Our animals earn their keep around here, so we know we must take care of them also. These three extras often only amount to an extra two dollars on our bill, and it’s allowed us to stock a good supply for the animals, and canned chili for us too! I have done 1 or 2 cans a week for years. I was wondering, is there any way I can easily calculate how many meals I can make from my food on hand? 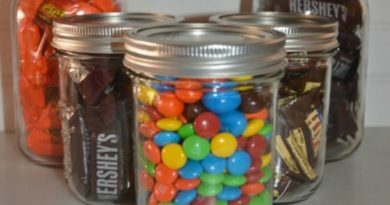 I have a pretty comprehensive inventory of my pantry and would like to see how many meals it would make. We have bought a little at a time for quite a while. It has gotten to the place, where we only replace now. I never open the cans of freeze dried peaches, since they are so good that we eat the can quickly.